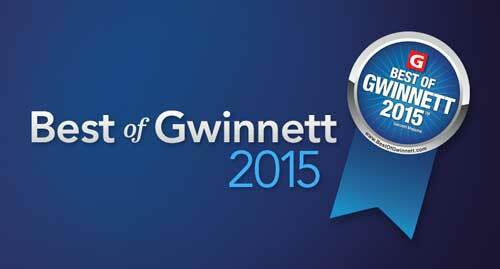 Primerica has been named a 2015 “Best Employer” by Gwinnett Magazine in its special “Best of Gwinnett” edition. This is the second year that Primerica has been honored with this recognition. “Best of” honorees are nominated by civic and community leaders and voted on by the community-at-large and readers of Gwinnett Magazine. To read more about it, check out the Best of Gwinnett website. This entry was posted on Friday, March 11th, 2016 at 3:34 pm	and is filed under Primerica. You can follow any responses to this entry through the RSS 2.0 feed. You can leave a response, or trackback from your own site. I am thankful to have the chance to make a difference in others lives through the Primerica system. Their are a lot of people struggling and praying For a maricle every day! I know I can answer their prayers of they give it a real shot like I did. I’m inspired by the culture of Primerica, an awesome company. Just getting started with this great opportunity. I want all this company has to offer me for the success of my future, I’m excited! PRIMERICA is the best company I ever met and worked for, and I am making this statement and declaration at the best of my knowledge, having over 25 years experience in the banking industry, including international. I am honored to work in the same office with mister Hartman Douglas, one of the most successful gentleman in US, owning over 700 offices, and being with PRIMERICA for approximately 30 years. Mr. Hartman is an outstanding leader, so friendly, modest, humble, with an amazing humor sense underlining his high IQ and professionalism, making the training as a free show, enjoyable and easy to understand and remember the message. Also my broker/Regional Vice President, mister Glenn Matt and all the other brokers and agents from this office, most of them with the company for 30 years, are absolutely impressive, including the business opportunities, the training on the classes and online for the life insurance and securities license and the crash courses are very professional. I personally don’t know any other company to offer such a professional training free, and the best services for the clients. I am very proud to have the opportunity of working and representing PRIMERICA, the best life insurance company in US according to google statistics, and one of the most trustworthy according to Forbes article. Not only outside for our clients, but even inside between ourselves in the office and corporate office, the environment is absolutely terrific, very respectful and professional. I am very excited I had the chance to met and work with the best of the best company that is helping everyone to get out of debt quicker, accumulating wealth, and assets protection besides the free training and tremendous business opportunity. Thank you PRIMERICA, YOU deserve the best reputation, because you are offering the best services, and the best opportunities of earning honest, ethical and professional money besides the promotions, free vacations and other benefits.